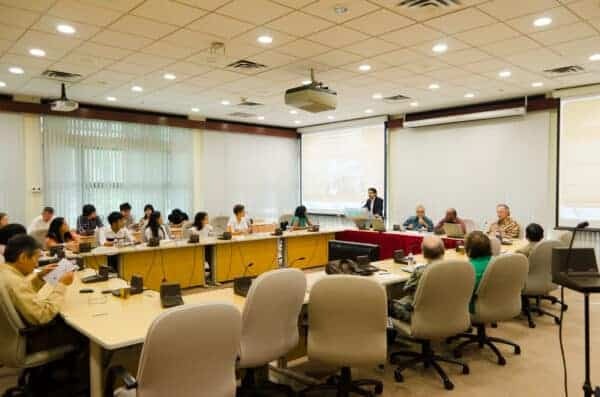 The Singapore part of the Nalanda-Sriwijaya Centre Field School opened today at the Institute of Southeast Asian Studies. The opening ceremony this morning saw an opening address by the director of ISEAS, Ambassador K. Kesavapany, the guest-of-honour Prof. Prasenjit Duara of the Asia Research Institute and a lecture on the archaeology of Singapore by Porf. John Miksic. The participants are a varied bunch, representing the a spectrum from the East Asia Summit countries. Over the next two weeks, they will be attending lectures on various topics, getting some lab experience with handling ceramics and embarking on some field trips. I’ll be tagging along on some of these field trips to some of the museums – especially the ones I haven’t had a chance to visit yet. Stay tuned!